Check out the VMware vCentre 4 Update 2 Release Notes here and VMware vSphere Update 2 Release Notes here for all the resolved issues and all the fixes from previous bundles and how to update your environment. You can download the latest update from the VMware download page here. 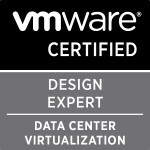 Categories: Virtualisation | Tags: Update 2, vCentre update 2, VMware, VMware Update Manager, vSphere, vsphere 4.0 update 2, vsphere 4.0 update 2 released, vSphere update 2 released | Permalink.